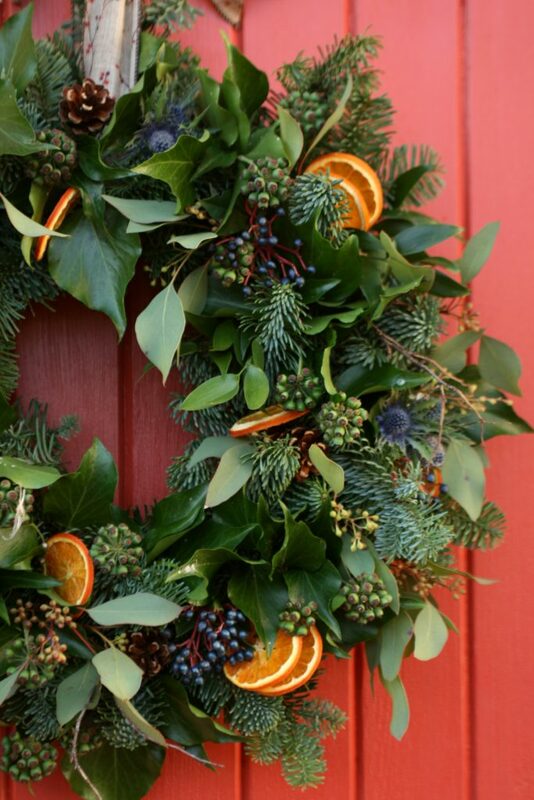 With this year almost at an end, its time to think about the festive season. 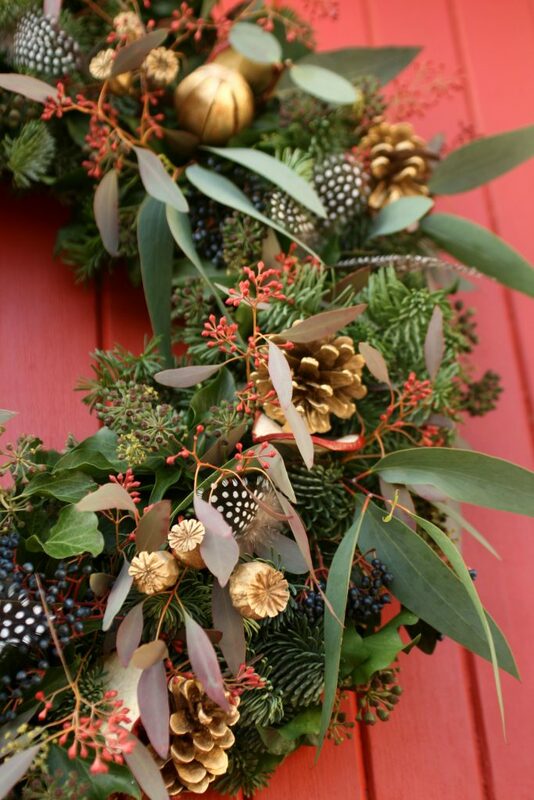 We are once again offering rustic style Christmas wreaths full of lovely foliage, seed heads, feathers, dried fruit, wooden hearts, cones and ribbons etc. 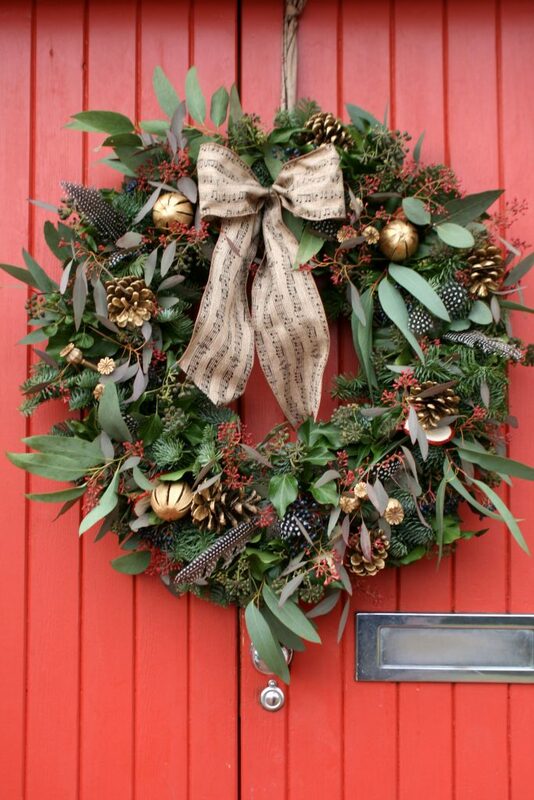 10″ Pine Wreaths are £18. Free delivery within the Musselburgh area. 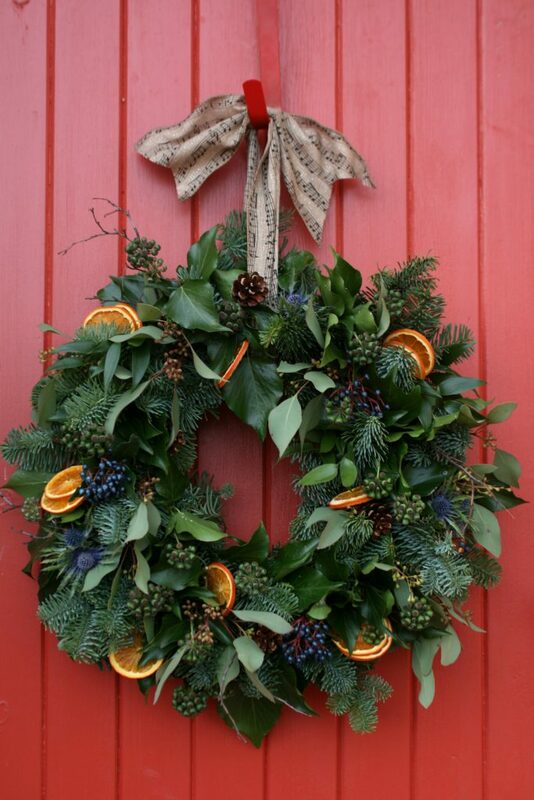 Our wreaths will be available from late November/early December for your door and the graveside. Please do get in touch if you would like to place an order. 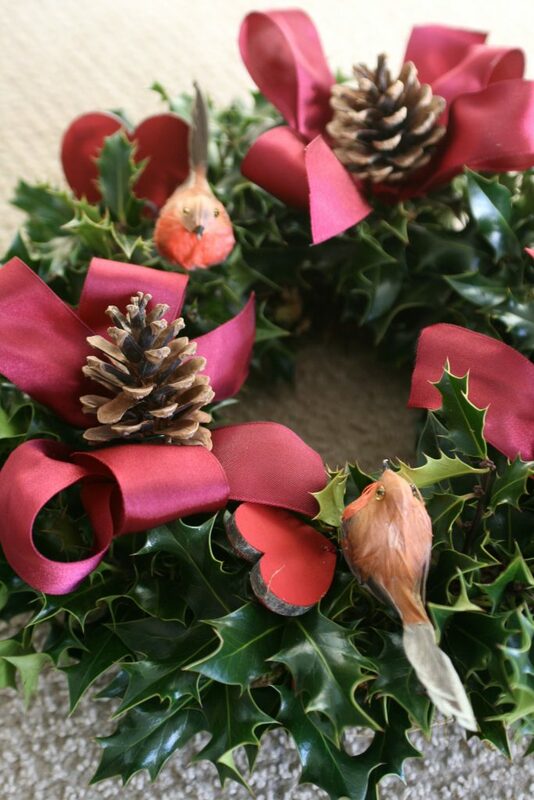 Graveside wreath with ribbons, robins, hearts and pine cones. Available from last week in November at £18 for small and £25 for large size. Traditional or modern style in range of colours and designs.